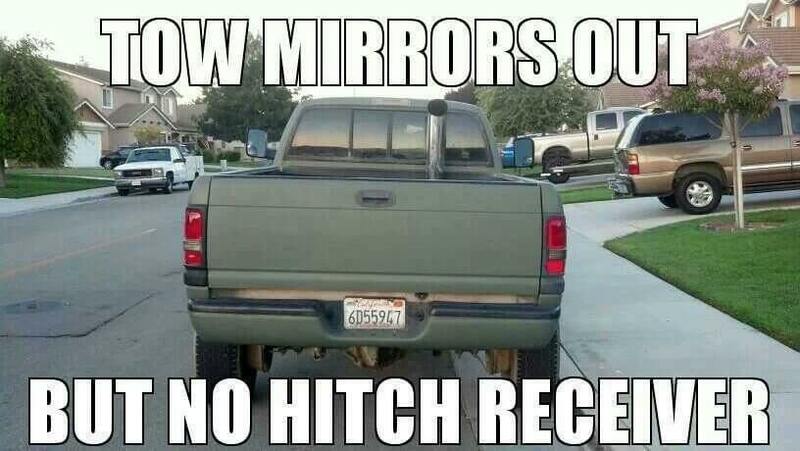 Have you ever seen a truck driving down the road with mirrors sticking out so far you feel like they are in your lane? Or how about a guy with those same towing mirrors and he doesn’t even have a hitch receiver on his truck like this guy haha. Next on the pre-tow checklist is verifying that your side-view mirrors provide a clear view that extends to the end of the trailer. Towing mirrors are specifically designed for towing trailers so that you can better see all the way to the end of whatever it is that you are towing. They extend outward further than the typical side mirror, increasing your rearward vision to help provide a safer towing experience. Although blindspots are nearly impossible to avoid, towing mirrors help to further minimize those blind spots while towing. Most states even have laws requiring a certain visibility or certain towing mirrors while towing. How do you know which towing mirrors you need? Every motor vehicle shall be equipped with a mirror mounted on the left side of the vehicle and so located as to reflect to the driver a view of the highway to the rear of the vehicle. Every vehicle shall be equipped with a mirror mounted either inside the vehicle approximately in the center or outside the vehicle on the right side and so located as to reflect to the driver a view of the highway to the rear of the vehicle. Typically, majority of the states in the U.S. will require visibility of at least 200 feet to the rear of the vehicle, no matter the size of the trailer being towed. There are a couple of different options when it comes to purchasing towing mirrors. If you are purchasing your tow vehicle brand new, you can upgrade to the towing mirrors. 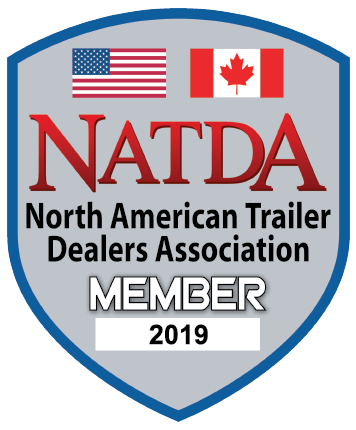 You can also purchase removable mirror attachments made specifically for towing or you can purchase an entirely new mirror altogether depending on the size of the trailers you’ll be towing and how often you’ll be towing. From there, there’s different options including: manual, power, telescopic (extendable) and clip-on mirrors. Manual is pretty self-explanatory being that you have to adjust them manually. Power mirrors are just that, you can use a switch inside your vehicle to adjust the mirrors to fit your towing needs. Telescopic mirrors are extendable mirrors that allow the adjustment of the mirrors when necessary. They can extend to offer a better view when towing, or go back to a standard position when you have nothing hitched; they are available in both manual and power versions. Last is a universal clip-on mirror for those who are only towing occasionally. They are inexpensive and convenient as they just clip on to your vehicle mirror in a matter of seconds, but they sometimes look a little funny/stand out amongst the rest of your vehicle and may vibrate depending on how well they fit your mirror. Another great mirror that can be helpful when towing are convex or spotter mirrors. These mirrors are usually smaller than the actual mirror but they reflect more in a smaller space and have a wider field of vision than a normal flat mirror. With a wider field of vision, the blind spot is further minimized. These mirrors give a full sized image of distant objects and therefore enable the driver to see a much larger area than with a regular mirror. Be sure that you have appropriate mirrors so you can have Towing Peace of Mind. Weigh Safe is a fast growing, family owned and operated business based out of Lindon, Utah. We are constantly looking for opportunities to grow and develop new innovative products that continue to provide a towing peace-of-mind. Weigh Safe © 2019. All Rights Reserved.